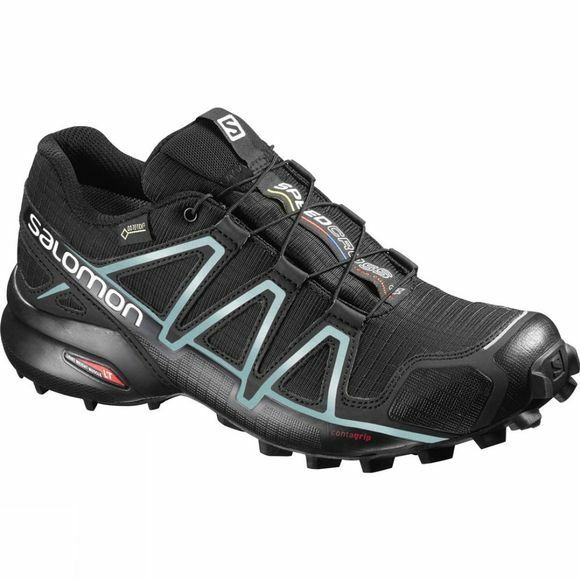 The Women's Speedcross 4 GTX Shoe from Salomon is a lightweight, waterproof, aggressively profiled trail running shoe. 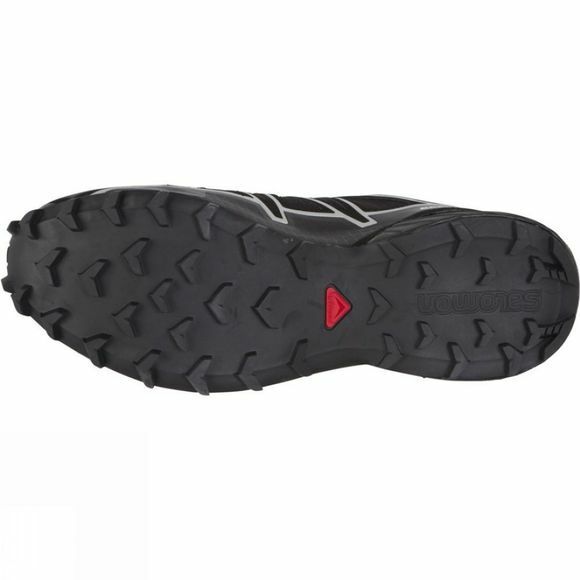 The claw-like tread of the Wet Traction Contagrip sole offers even more durability to shrug off the constant assault of pounding the trails. The Gore-Tex membrane and textile upper is wrapped precisely around the foot by Salomon's Sensifit system and Quicklace drawcords, while the bonded construction keeps down the weight, cuts down on stress points in the fabric, and keeps the profile cleaner so less likely to snag. A proven race tuned design, made tougher, slicker and more stable: no surprise then that it's the shoe of choice for many Salomon team athletes.